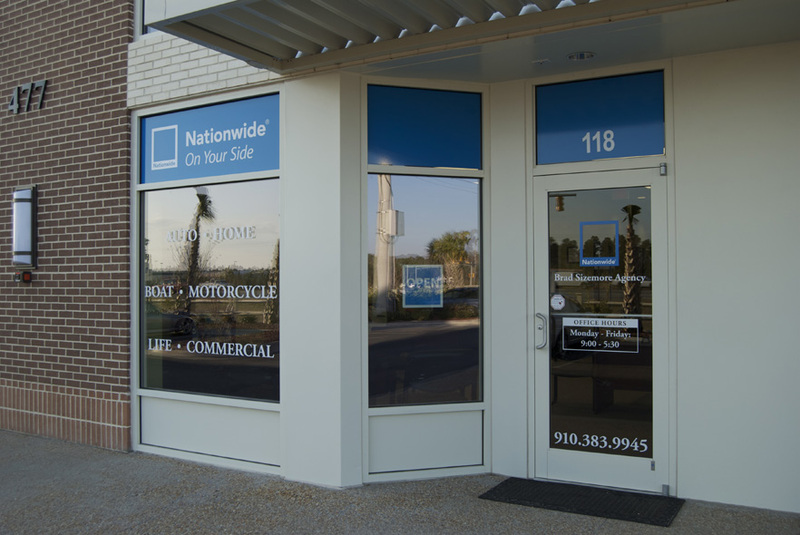 Turn Your Business’ Windows into a Billboard with Window Graphics! 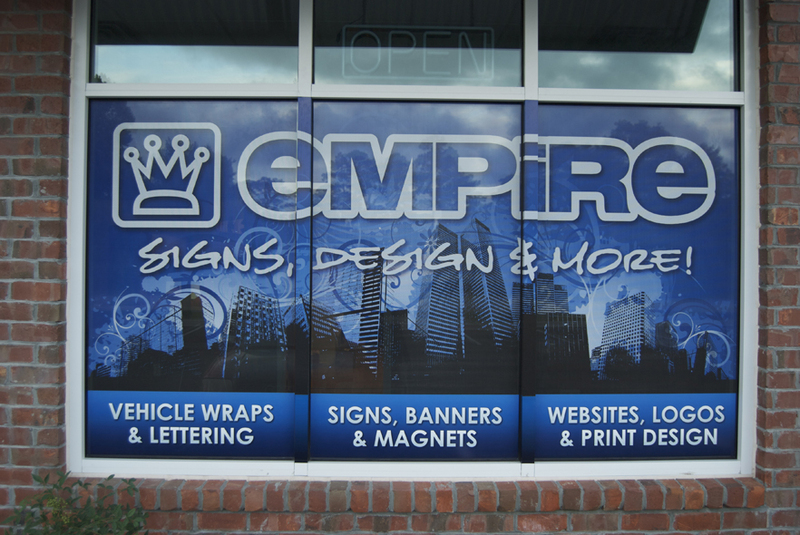 Empire Graphics, LLC can turn your storefront windows into instant advertising space! 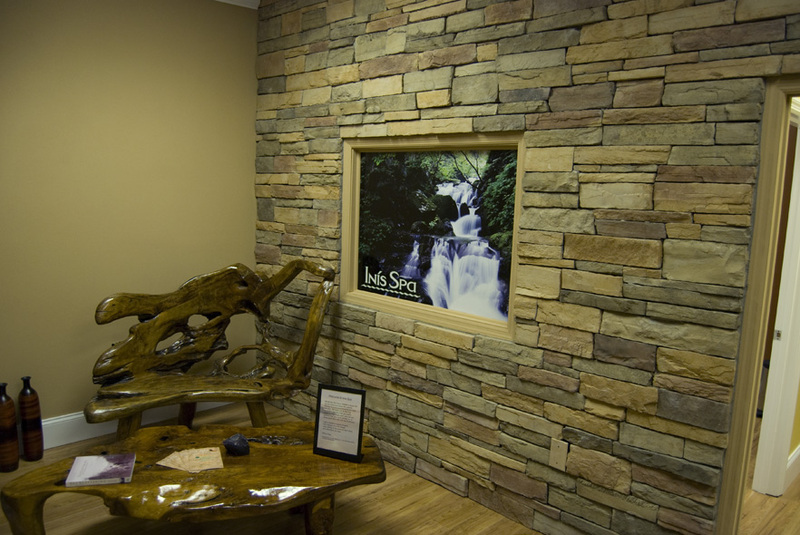 Window graphics will make your business more visible and allow you to promote your products before a customer even walks in your door. 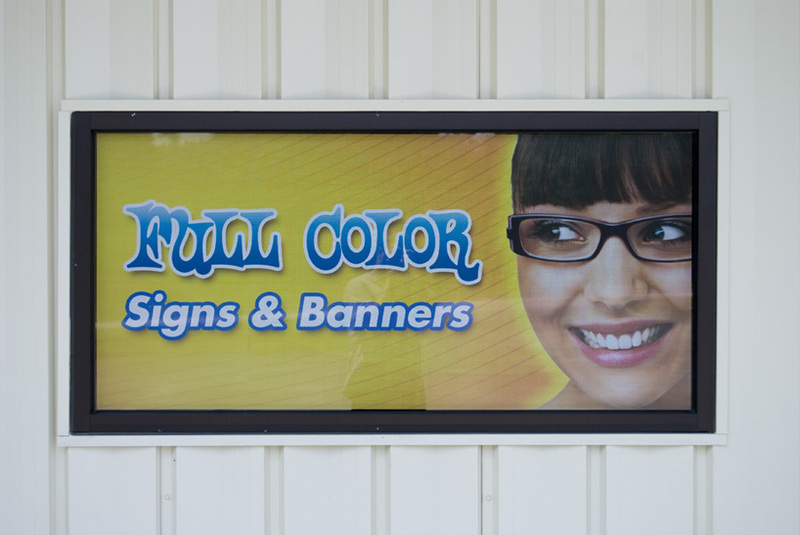 Whether you want to advertise sales promotions or feature new products or services, window graphics are a perfect way to showcase your storefront with eye catching, full color graphics. 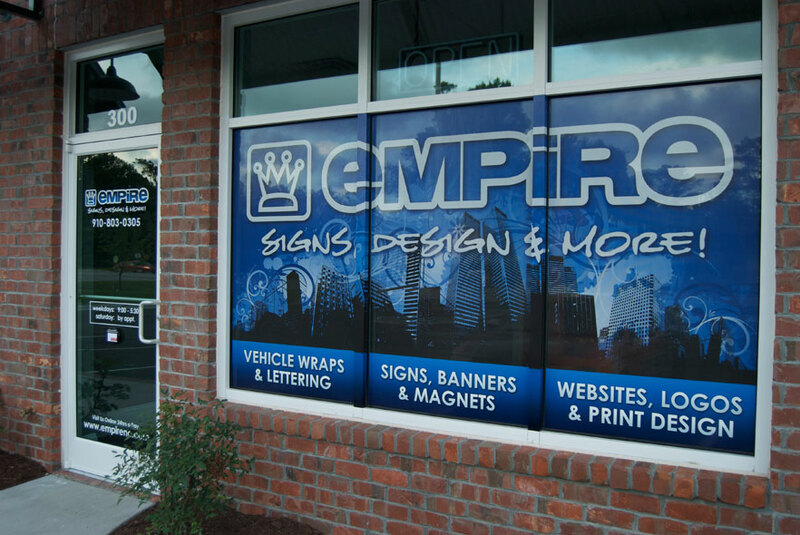 Window graphics are an affordable and adaptable way to creatively promote your business while increasing your businesses aesthetic appeal. Perforated Window Film: Want the maximum impact but still need to utilize the visibility of your windows? Our perforated window films are specifically designed to be completely see-through from the inside and graphically stunning from the outside. Banner Material: The original window graFX! 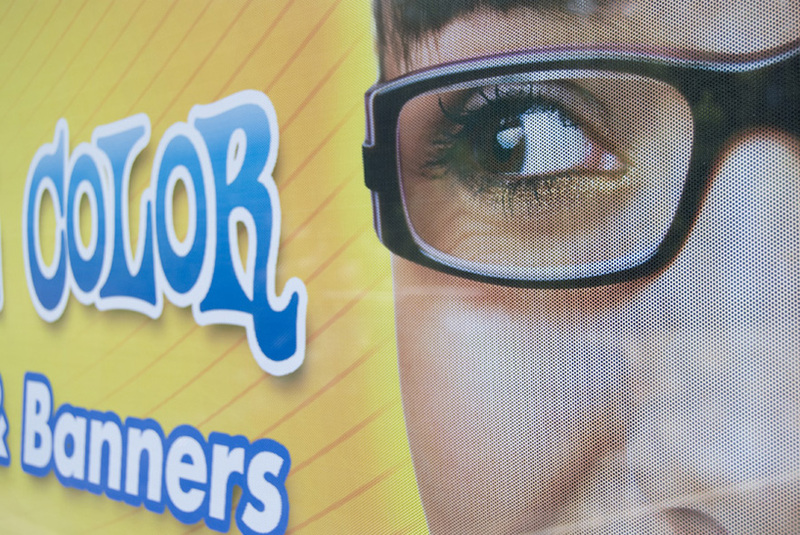 Banner material is still a fantastic and cost-effective way of displaying vibrant full-colour graphics in your windows. Static Mesh Material: Love the look of our roller shades but want a more permanent application? 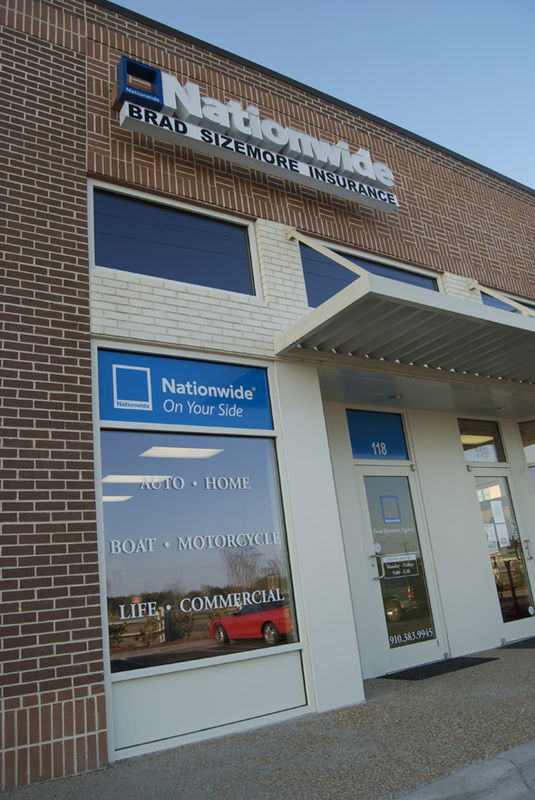 Static mesh material stays in place for a cool, professional look inside and out. 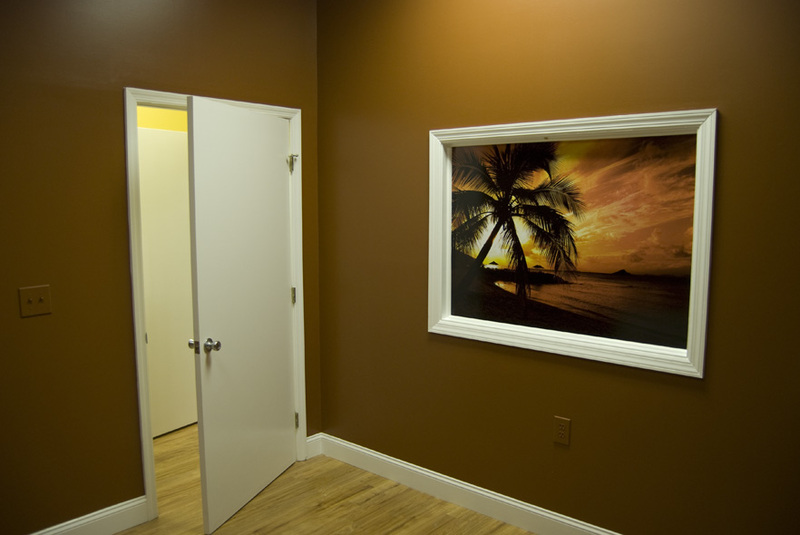 Full-Color Vinyl: For maximum impact try high-performance vinyl. 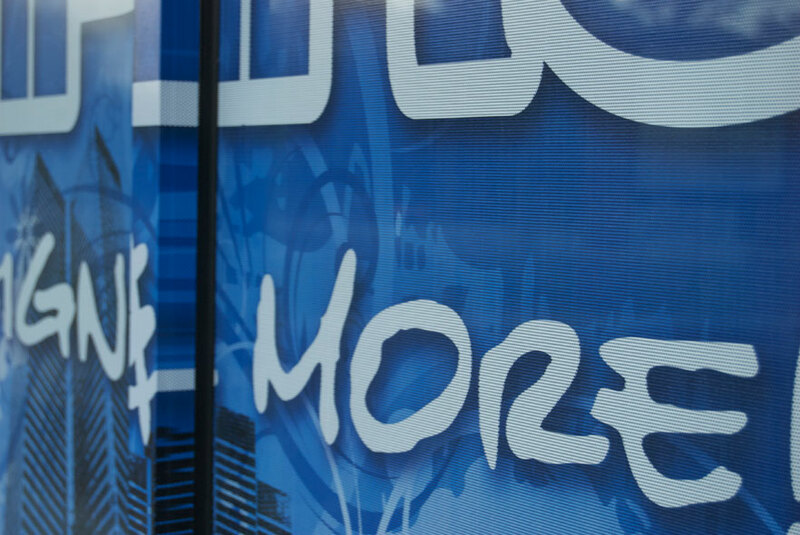 With a solid, glossy, laminated finish your graphics will really pop. Etched Glass Effect Vinyl: Textured graphics with a sandblasted look offer limitless creative applications and results that are truly astounding. Vinyl Lettering: Get back to basics with simple vinyl lettering that says what you want, where you want.